This post is brought to you by First National Bank, the Official Bank of Downtown Fort Collins. 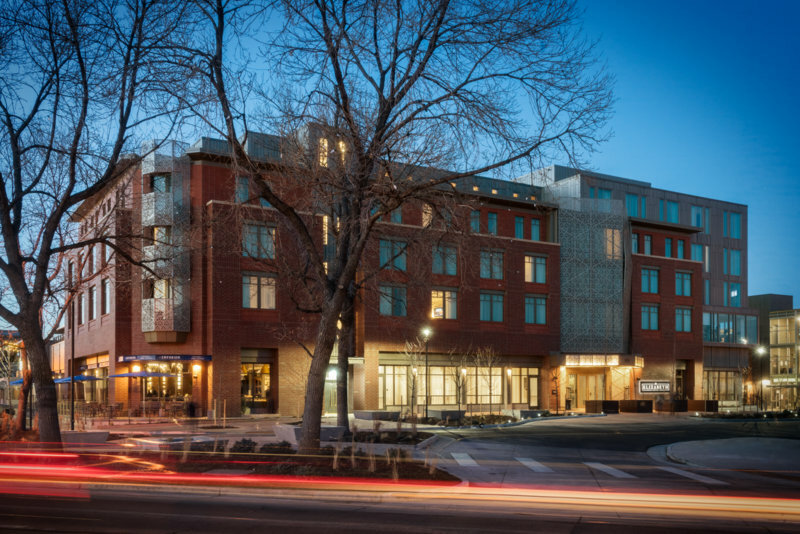 The city that makes all of those “best places to live” lists is also the best place to visit, especially with the construction of Fort Collins’ first 4-star hotel, The Elizabeth Hotel. 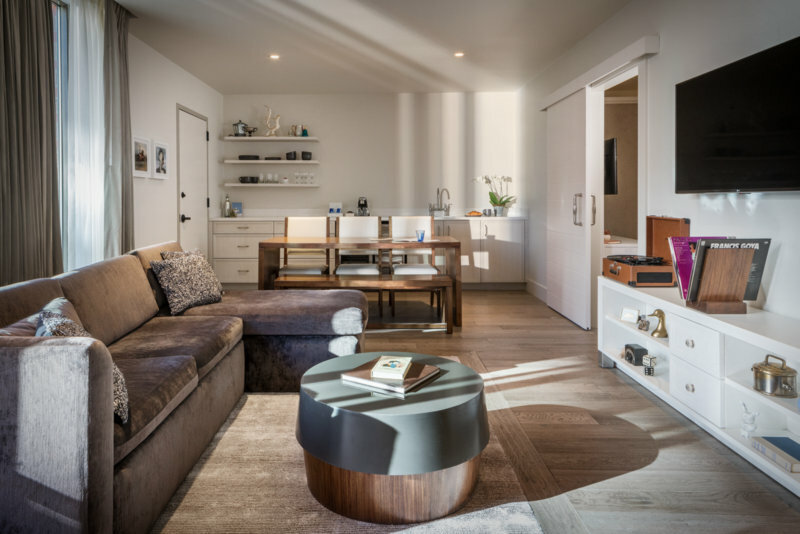 The property incorporates all the best things the Choice City has to offer, including music – something the city has become well-known for over the last decade. The Elizabeth Hotel, courtesy photo. 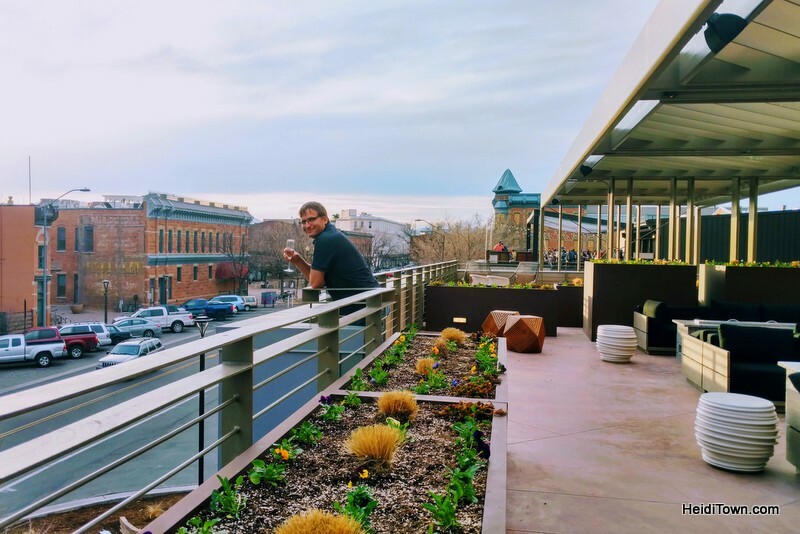 To stay at The Elizabeth Hotel is to experience a side of Fort Collins that’s refined yet comfortable, traditional, yet modern. While Fort Collins is awesome, the hotel is a destination in itself offering peaceful sleep, good eats and entertainment. After spending a night there earlier this month, I can, without reservation, highly recommend this beautiful Colorado hotel. The patio off our Junior Suite. Our Junior Suite was bright and contemporary featuring a seating area, kitchenette, large bathroom and bedroom. It also included a door that led out onto our private area on one of several of the hotel’s rooftop patios. 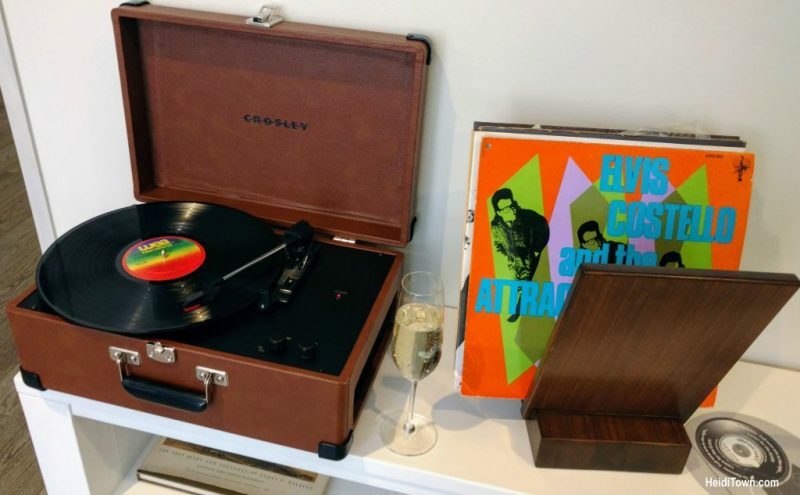 A musical theme flows throughout the hotel, and our suite, like all guest rooms at The Elizabeth, featured a record player with a collection of vinyl and other melodic interior design touches, such as a fancy trumpet kazoo. 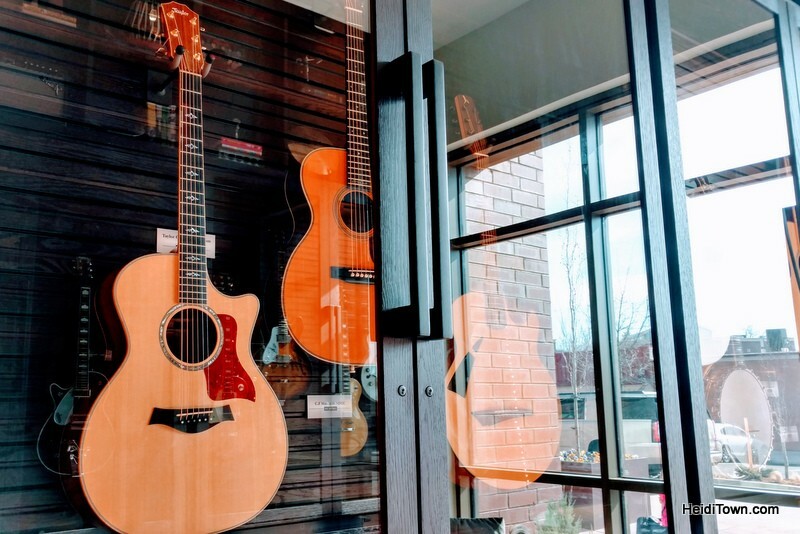 There is a music library near the lobby where guests can check out additional vinyl records and musical instruments such as guitars and keyboards. Junior Suite at The Elizabeth Hotel, courtesy photo. If you’d like to go all out for the music lover in your life, book the Music Suite, which is home to a high-tech record player, sound system and a baby grand piano. Music library at The Elizabeth Hotel. The Elizabeth Hotel is a walkable distance from everywhere you want to be in downtown Fort Collins, and so we set out for a brief walkabout on a gorgeous March day. We stopped in Pinball Jones for a game of pinball and a hard cider from their beer fridge, and then proceeded to take in the sights and sounds of Fort Collins, a city that’s always bustling on a Saturday afternoon. 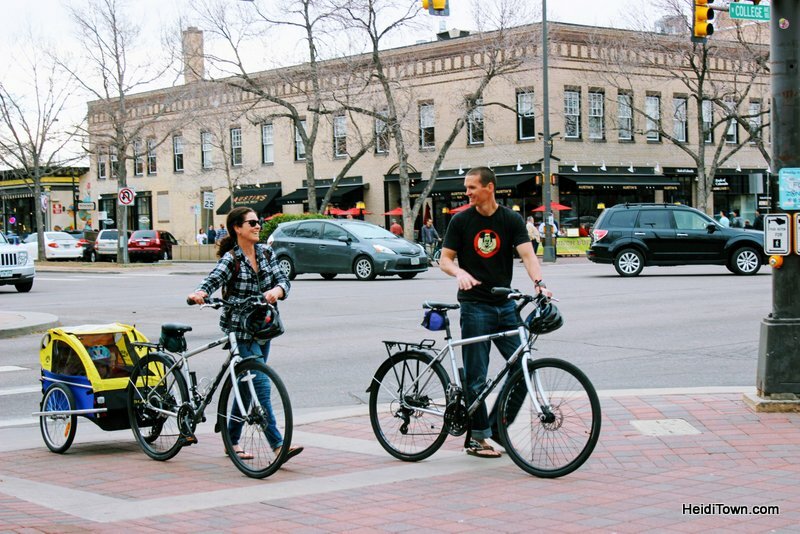 Typical scene in downtown Fort Collins, Colorado. While this is a town that’s filled with breweries, we didn’t make a stop at one on this trip. Instead, we headed back to the hotel to enjoy a drink at The Magic Rat, a bar/music venue that appears to be straight out of the 1920s. 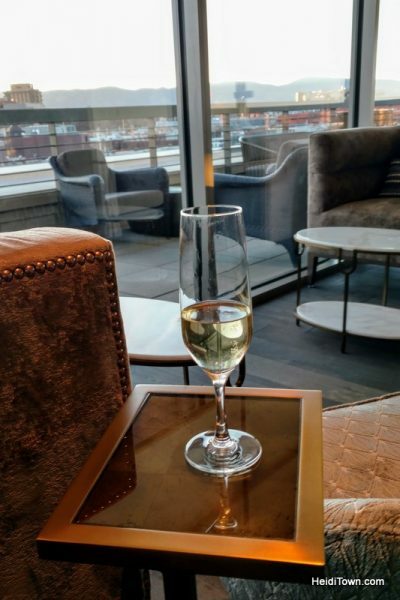 Upstairs at The Elizabeth, the Sunset Lounge has a “Mad Men” sort of milieu with an incredible view of the city and live jazz on the weekends. The Magic Rat at The Elizabeth Hotel, courtesy photo. We had dinner reservations at The Emporium Kitchen & Wine Market inside the hotel. This space is also home to a coffee shop, ice cream purveyor and amazing cheese and charcuterie case. It’s very European and feels rich with history despite the building being less than a year old. 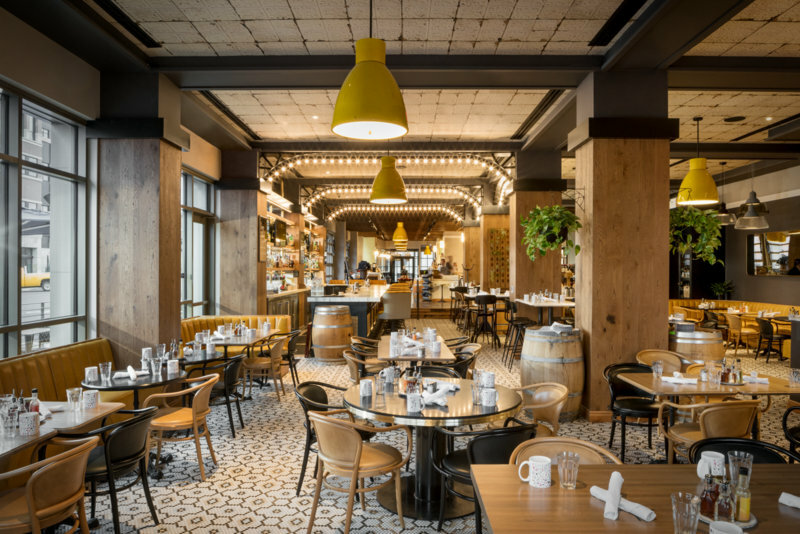 The Emporium Kitchen & Wine Market at The Elizabeth Hotel, courtesy photo. We started dinner with shrimp and then ordered entrees; bison bourguignon for Ryan and the Bang Island Mussels with chorizo and fries for me. As a wine market, they have an incredible selection of well-priced bottles and just browsing the extensive selection will make any wine lover giddy. We decided to keep it local and paired our meal with a Chardonnay by Jack Rabbit Hill in Colorado’s North Fork Valley. Our dining experience at The Emporium was terrific—the food, the wine, the ambiance—it all added up to a memorable evening. After dinner, we returned to The Magic Rat to catch a little of that evening’s free show. The Gentlemen’s Anti-Temperance League plays a throwback style of old-fashion music that seemed perfectly suited for a joint such as this. 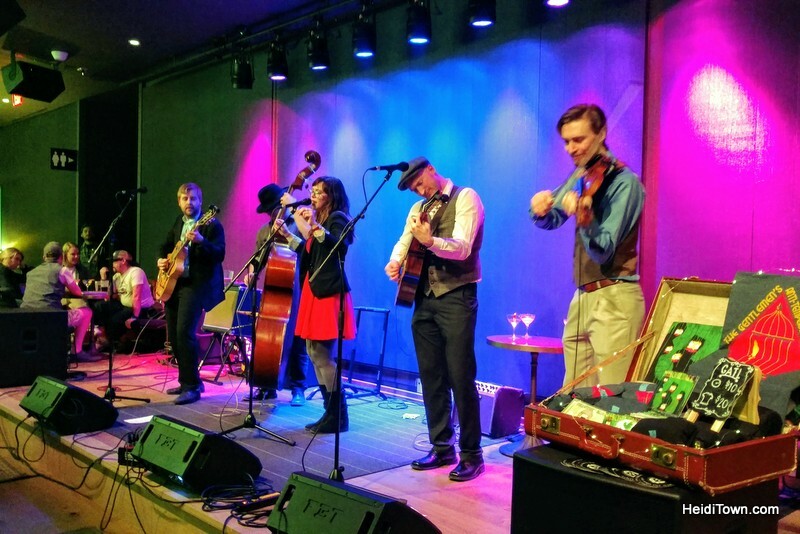 The Gentlemen’s Anti-Temperance Leagues plays The Magic Rat at The Elizabeth Hotel. The next morning, we ate brunch at The Emporium. There is a significant difference between the atmosphere of the restaurant at night versus day. In the morning, sunlight fills the space, making it the perfect place to brunch in Fort Collins. My Croque Madame was picture-perfect and Ryan’s eggs benedict were scrumptious. We’ll definitely be back to The Emporium for both another brunch and dinner. 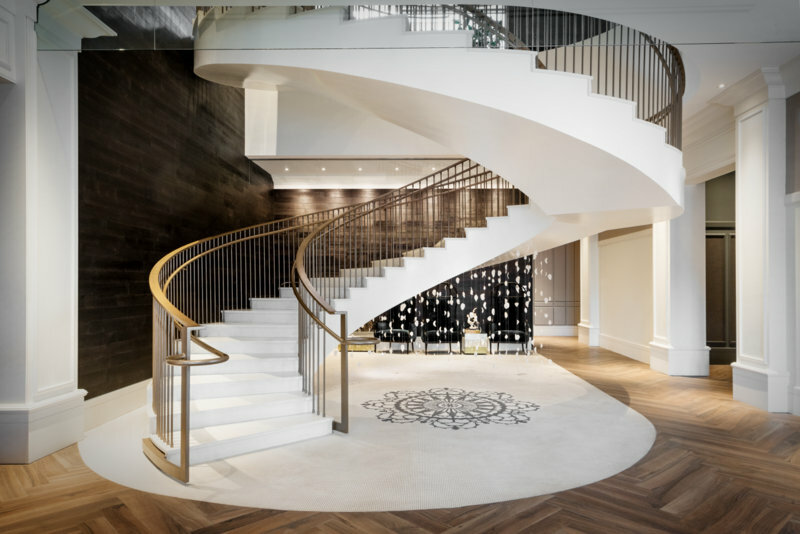 The Grand Staircase at The Elizabeth Hotel. Does it get any better than this? Courtesy photo. 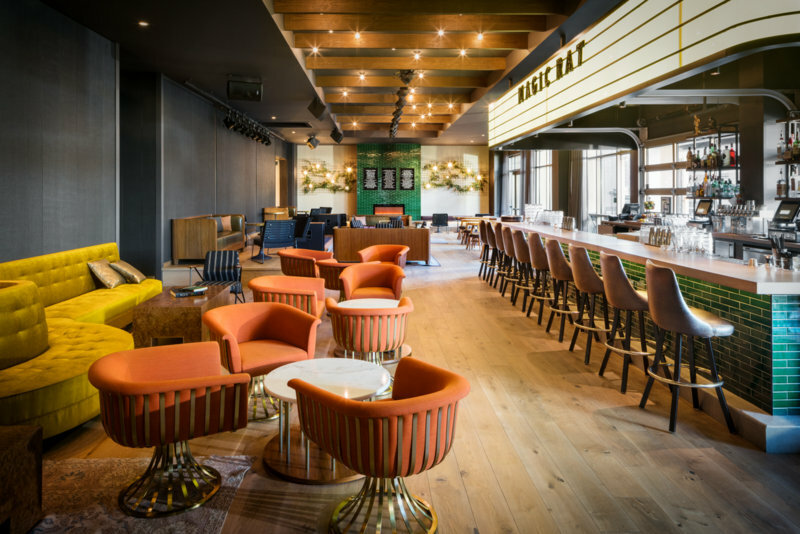 The Elizabeth Hotel is a bright spot in a city that already sparkles. Plus, you can feel great about your stay here because while this hotel is part of the Marriott’s Autograph Collection, it is locally owned and operated. That’s an important reason why First National Bank sponsored this post. They know that local businesses positively affect the community as a whole and they are a bank that celebrates and makes a point to support local businesses every day. Each room at The Elizabeth Hotel features a record player & small collection of records. Guests can also check out vinyl from the hotel’s music library. 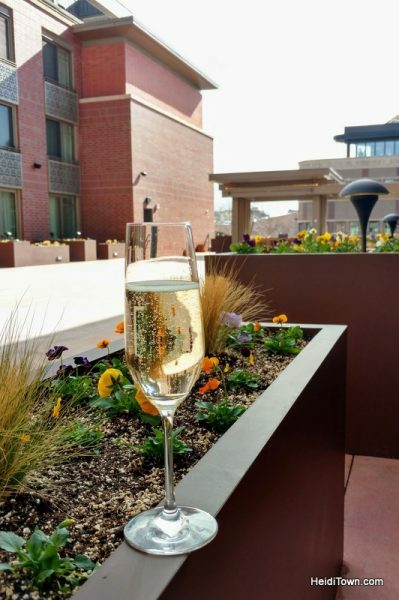 Whether you are looking for an extraordinary staycation or are visiting Fort Collins for the first time, The Elizabeth Hotel will enhance your sojourn in the Choice City. This post was brought to you by First National Bank as part of their #WeGrowAsOne campaign.